The first 150 people to order a physical CD at shop.cumbancha.com will receive a handwoven bracelet from Ghana. 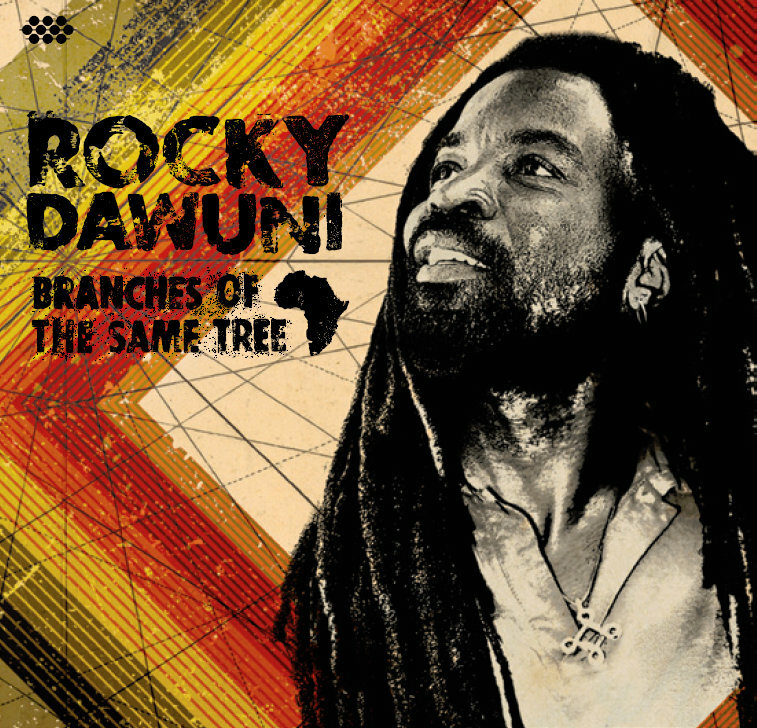 Branches of the Same Tree, the new album from Rocky Dawuni is out today worldwide on Cumbancha. International music star and humanitarian activist Rocky Dawuni straddles the musical boundaries between Africa, the Caribbean and the U.S. to create an appealing "Afro-Roots" sound that unites generations and cultures. Filled with uplifting and irresistible songs, Rocky's sixth album, and first on Cumbancha, blends inspirations from his diverse experiences while expanding on his identity as an artist, a proud son of Africa and as a true world citizen. Check out Rocky Dawuni's tour dates with more to follow here. WATCH THE VIDEO FOR THE ALBUM'S HIT SINGLE "AFRICAN THRILLER"
TO THE AFRICAN THRILLER REMIX CONTEST! Influenced by the soulful beats of Afrobeat legend Fela Kuti, the positive messages and deep grooves of Bob Marley and the infectious, sing-along anthems of Michael Franti, K'naan and Matisyahu, Rocky Dawuni's songs straddle the musical boundaries between Africa, the Caribbean and the US to create a universally appealing sound that unites generations and cultures. "African Thriller" embodies Rocky Dawuni's unique "Afro-Roots" sound, a funky blend of soul, pop, Afrobeat and reggae grooves that have made him a household name in his native Ghana and earned him a wide following across the globe. Jeremy Sole, a DJ, producer and host on the taste-defining Los Angeles radio station KCRW, remixed the single version of "African Thriller". Sole has previously remixed tracks for Femi Kuti, David Bowie, Thievery Corporation, and Quantic, among others.